Hello everyone! 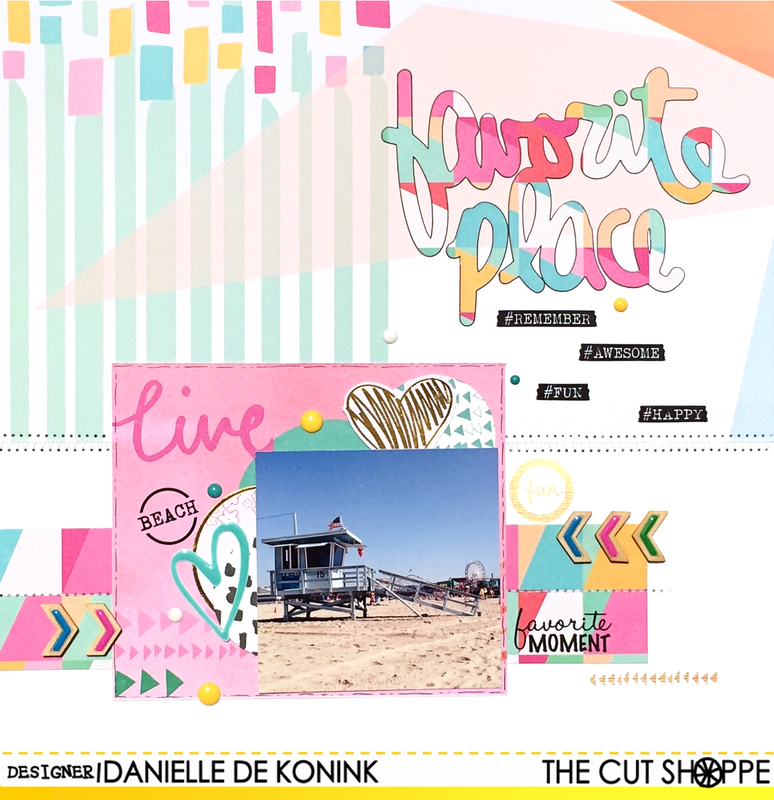 I have a layout made for The Cut Shoppe to share with you today. 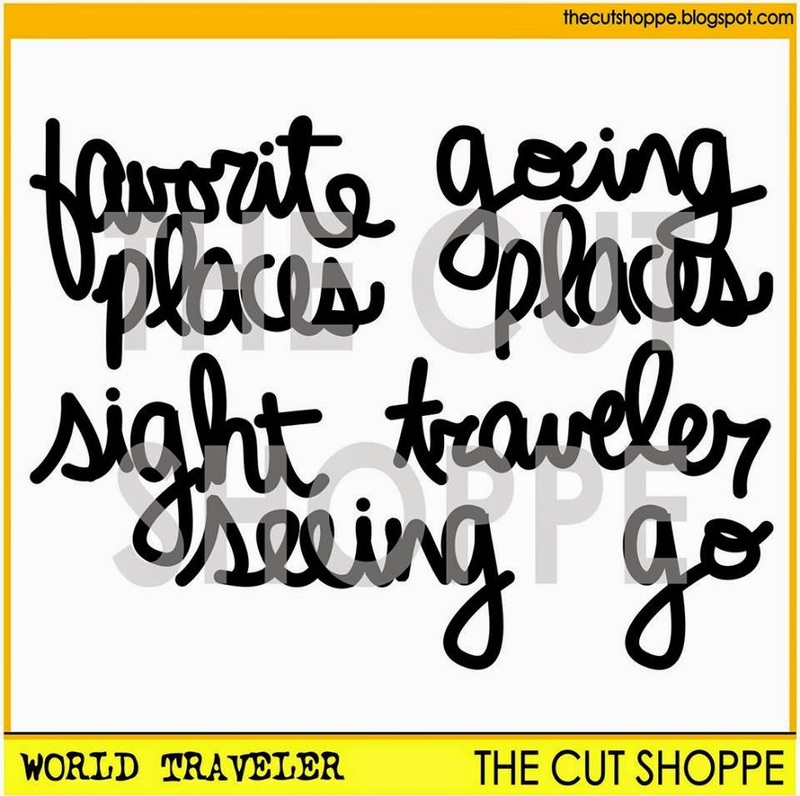 I love the World Traveler cut file set so much, I just had to make another layout with it. The original cut file said favorite places, but since I used only one picture I cut of the s at the end. This picture is taken at the beach of Santa Monica and this is definitely one of my favorite beaches. 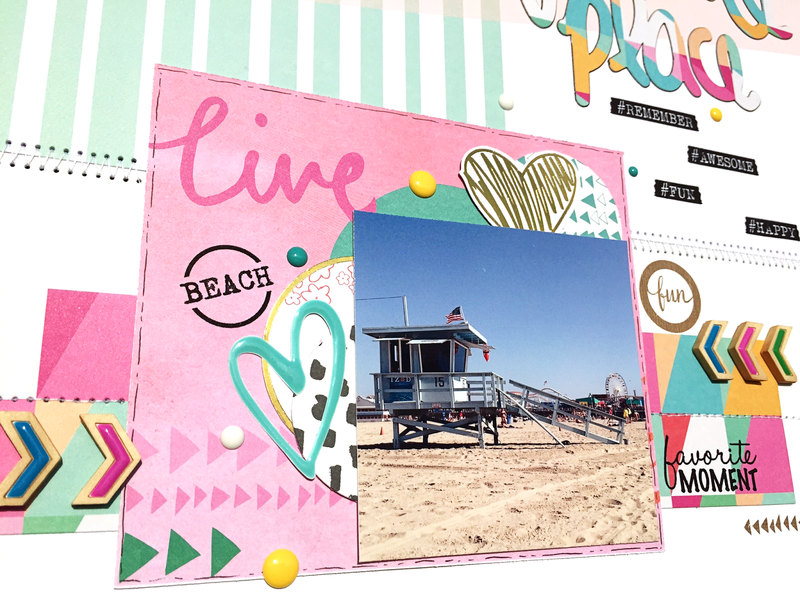 I think I say that about almost every beach, but you get the idea :-) I used the Pinkfresh Studio Up in the Clouds collection for this page and added stamps and enamel dots from Little.Miss.Evie. Love how you used the cut files and the colors you worked with are so pretty! 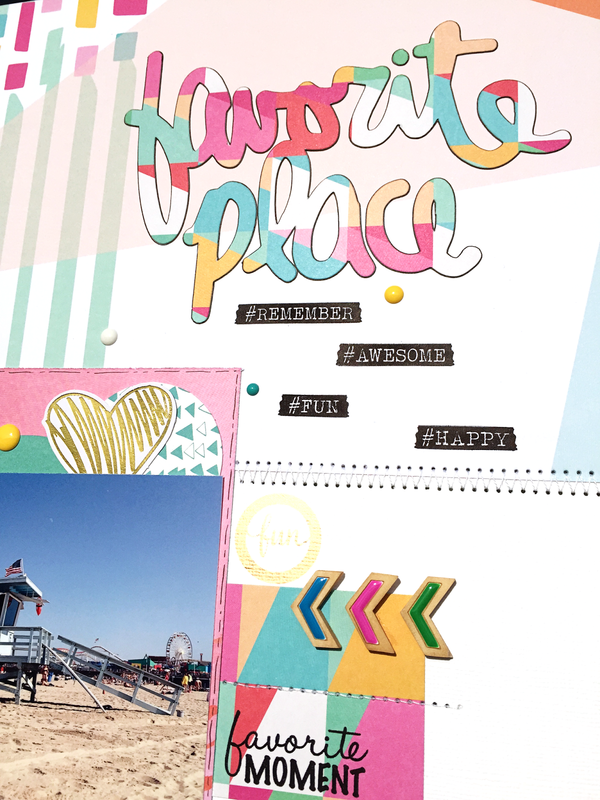 This layout is fab, Danielle!! Love the Pinkfresh collection for this page!! Love the cut file with this paper, awesome layout!